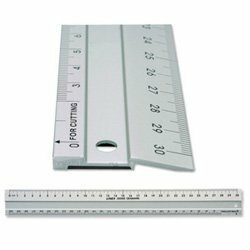 You need a ruler for cutting laminates, this one is great as it has a double edge. Anti-slip rubber strip to prevent movement. One side is beveled for measuring. One side is plain for cutting. Supplied in protective hanging sheath.